It used to be a cliché in the wine business that Valentine’s Day was the time of year to promote Rosé Champagne. More often than not, the “champagne” (little “c” intended) promoted was André or Paul Masson or Taylor New York or (maybe) Korbel. It was fizzy and pink but it wasn’t Champagne. Back then, there was some real Rosé Champagne in the market but no one (trade or consumer) much knew what to do with it. My, how times have changed. Today, Rosé Champagne is riding a more than decade long wave of increasing popularity all over the world and especially in the US. Rosé is recognized for its extra weight and richness and for its ability to accompany a wider range of foods to go deep into – or even all the way through – a meal. Who is driving the Rosé bus? Well, mostly women. And that is also who drives the Valentine’s Bus. The men may be doing most of the spending but the shopping list (check list?) comes from the ladies. Reservations? Card(s)? Gift? Chocolate? Rosé Champagne? See what I mean? In my case, the reservations have given way to prime tenderloin (served with a great red wine) at home but the evening still starts with Rosé Champagne and ends with chocolate. (There are three reasons for this change: amateur night with too many drinkers out on the road, crowded, over-loaded, often over-priced restaurants with restricted menus and seatings, and the fact that we can drink better wine for less money at home (and still have a simple but elegant meal at our own pace). Here’s a list of some of the best Rosé in the market and a bit about each. Some are richer and some are more elegant. There is a Rosé for every style, purpose, and budget. Ok, I’ll admit that even the least expensive of these can be a bit of a splurge but it is Valentines Day (which only comes around once a year) and you don’t want to miss checking that box on the check (shopping) list, now do you? A 12% alcohol blend of Chardonnay and Pinot Noir with 15% Red from Ambonnay and Bouzy to give it its Rosé color. Orange-salmon in color and fully sparkling; dry, medium-plus-bodied with freshly balanced acidity and very light phenolics. Lots of earthy red fruit with softer style but has the citrus to keep it fresh. Much more on the food Champagne side of things. BS: 91. A 12% alcohol blend of 40% – 50% Pinot Noir (10% red wine), 30% – 40% Pinot Meunier: (10% red wine), 10% – 20% Chardonnay (don’t you hate it when they won’t tell you what the actual blend is?) aged 21 months en tirage and dosed to 0.9% residual sugar. Salmon in color and fully sparkling dry, medium-bodied with fresh acidity and scant phenolics. Cleaner and fresher style Rosé but more fine and elegant than most. Classic Chamapgne Rose medium red fruit with enough citrus. Manages to be both fresh and satisfying. Splits the difference between white Champagne and the richer Rosés. BS: 92. A 12% alcohol blend of 10% Chardonnay, 60% Pinot noir, 30% Pinot Meunier with 18% of the Pinot Noir and Pinot Meunier being the red wine in the blend. 25% reserve wines. Aged 3 years en tirage. Sensory: Salmon Rosé in color and fully sparkling; dry, medium-bodied with balanced acidity and scant phenolics. Supple, earthy, toasty, rich, ripe, red fruit rosé offering real depth. Fine food fizz. BS: 92+. A 12% alcohol Pinot Noir 30-40%, Chardonnay 25-30%, Pinot Meunier 30-40% from vineyards all over Champagne with over 35% composed of reserve wines with the cuvee aged en tirage for 36 months. Pale-orange-onion skin in color and fully sparkling; dry, medium-bodied with fresh acidity. Very pale style of Rose offering more citrus and a bit of red fruit. Smooth and rounded with lots of freshness. Fine feel with just enough richnesss. Lovely. If you didn’t know it was Rosé, you probably wouldn’t know it was Rosé. BS: 93. A 12% alcohol blend of 62% Pinot Noir, 24% Chardonnnay, and 14% Pinot Meunier (all but the Pinot Meunier is 1er cru or grand cru) initially fermented in a mix of small Stainless Steel Tanks and Oak Barrels with only 6% red wines added and aged over 36 months en tirage and finished brut with a 0.75 residual sugar dosage. Pale-copper-salmon in color and fully sparkling; , medium-bodied with fresh acidity and scant phenolics and a very long finish. Earthy rich dusty red fruit. Juicy, toasty, dusty. Rich satisfying food Champagne. Absolutely lovely. Delicious.. Excellent. BS: 93+. A 12% alcohol blend of mostly Pinot Noir with some Pinot Meunier and a bit more Chardonnay with 12% red Pinot Noir added before the second fermentation. The wine is salmon-orange in color and fully sparkling dry, medium-bodied with freshly balanced acidity and scant phenolics. Tasted with several other Rosés, this is a richer and “foodier” Champagne Rosé with lots of red fruit (along with enough citrus) and a supple toasty richness from lots of reserve wines. Still plenty fresh with a lovely feel. Deeply satisfying. This is Champagne to go with steak tartar or carpaccio or even simple pasta dishes (but hold the red sauce). BS: 93+. A 12.5% alcohol blend of 85% Chardonnay with 15% still red Pinot. Noir. The Chardonnay is from the Cote du Blanc (Avize, Cramant, Mesnil-Sur-Oger, Oger and Vertus – all Grand crus), The Pinot Noir is from the Montagne de Reims. (40% of the total comes from reserve wines). Aged on the lees for 9 months. Sensory: salmon-orange in color; dry, medium-bodied with balanced acidity and very light phenolics. Richer with more red fruit. Lots of fruit and lots of toasty richness with enough chalky minerality to keep it elegant. Long and again, quite food friendly. This is Champagne to keep. BS: 94. A 12.5% alcohol blend of 55% Pinot Noir and 45% Chardonnay all from premiers crus vineyards including the estate vineyards in Sillery and Brimont selected vineyards in the Côte de Blancs and the Montagne de Reims. 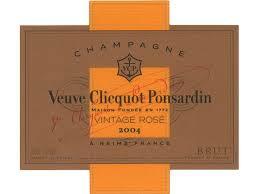 Pink-orange-salmon in color and fully sparkling; dry, medium-plus-bodied with fresh acidity, light phenolics. Earthy, lovely rich with red fruit. Great length and super feel. Despite the Chardonnay content, this is almost red wine masquerading as Champagne. BS: 95. A 12% alcohol blend of 40% Pinot Noir, 30% Pinot Meunier, 30% Chardonnay. Grapes are pressed in the Grand Cru village of Cramant (in the Cote de Blancs) in Perrier-Jouët’s traditional wooden presses. After it is racked, the clear juice is transported to Épernay for primary fermentation in stainless steel tanks. After Champenization and 6 years of age, the wine is disgorges and dosed to 11 grams of sugar per liter (about 1.1%). Sensory: Salmon-pink in color and fully sparkling; dry, medium-full-bodied with softly balanced (for a bubbly) acidity and light phenolics. Richer and fresher with fine freshness. Riper red fruit with just a touch of citrus. Darker floral and subtle toast. Bear Note: This is much more vinous tasting than most Rosé Champagnes. Delicious. This is a GREAT food rose. Excellent. BS: 95. A blend of 45% Pinot Noir from the Montagne de Reims and 55% Chardonnay from Cramant and Avize in the Cote de Blancs aged 6 years en tirage (on the yeasts) and finished with a 0.9% dosage Sensory: Copper-salmon in color and fully sparkling; dry, medium light-bodied with freshl acidity and scant phenolics. Rich with notes of red fruit and citrus to go with mineral earth and subtle toast. Lovely, integrated, complete. Delicious food friendly Rosé. BS: 96. A 12.5% alcohol blend of 62% Pinot Noir, 8% Pinot Meunier, and 30% Chardonnay (The same base blend as the 2004 Vintage) with 15% red Pinot Noir from Bouzy made using straight forward methode champenoise. Sensory: pale salmon in color and fully sparkling; dry, medium-bodied with freshly balanced acidity and scant phenolics. On the initial taste, this is the best wine of the night. The others may wake up and pass it in a bit but this is showing the best fresh from the bottle. Mixed red cherry-berry and citrus fruits beautifully integrated with earth and toast and richness. A delight in the mouth. Satisfying, long, delicious, and complete. GREAT food Champagne. BS: 97. This entry was posted in Bubbly, Champagne, What I'm Drinking and tagged Pink Champagne, Rosé Champagne. Bookmark the permalink. I want the last one please! After all …we are worth it! We shall follow Bears lead and cook a tenderloin and Caesar salad!